Billy Ray Cyrus may be available for your next special event! Those familiar with the Billy Ray Cyrus story know that the Kentucky native's musical roots lie firmly in the church. 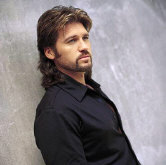 Billy Ray Cyrus grew up surrounded by gospel music. The grandson of a Pentecostal preacher, the young Cyrus was singing with his father's gospel quartet before he'd started grade school. Though Cyrus went on to fame as the multi-platinum hunky heartthrob behind such country hits as "Achy Breaky Heart," "Could've Been Me," "In the Heart of a Woman" and "Busy Man," his own faith still runs deep. Billy Ray Cyrus admits his long, hard struggle to get his career off the ground and the ensuing rocket ride as "Achy Breaky Heart" catapulted him to international fame tested his faith. A devoted family man - he and wife Tish have six children - Cyrus' dual role as TV star and recording artist often requires long separations from his family. "I have to say my world was spinning so out of control, I hit a couple of spots where I didn't feel like God could hear me anymore," Cyrus says. "There were times I felt like, 'Is anybody listening? Does anybody care?' But it wasn't that God wasn't listening, it's that I wasn't taking the time to be still and make sure that prayer was getting through." With that realization came a shift in his priorities. "My family became my foundation, and my spirituality became my foundation," he says. "That's when I started reconnecting back to life, instead of being out there in the twilight zone on some rocket spinning out of control." 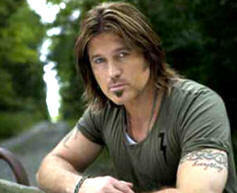 Though he's come full circle musically, Billy Ray Cyrus stresses he's still the same imperfect person he's always been. "I'm not all of a sudden stepping up on a pedestal and saying I'm holier than thou, because I'm not! I'm a very imperfect person, but isn't that why God sent his son Jesus to this earth? - to save sinners like me? I just always try to work to make myself better in the eyes of God." "Music is not a job, it's what I love to do." He says. "My goal is for my music to touch people's lives. I want them to feel they were moved inside." His impressive career resume also includes the million-selling "It Won't Be The Last," three number-one and many top-ten singles including 1999s "Busy Man," which still receives strong recurrent airplay. 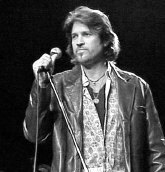 Over the years Billy Ray Cyrus has maintained his worldwide success, earning multi-platinum certifications in Australia, platinum in Denmark, New Zealand and Norway and gold in the UK and South Africa as well as a Diamond Award in Canada. His mantle is covered with awards and accolades from various organizations, but the ones he's most proud of aren't connected to his music. In 1999, he received the International Entertainment Buyer Association's "Humanitarian of the Year" for his tireless philanthropic work. His charitable efforts have been recognized by the Country Radio Broadcasters, who honored him with their Artist Humanitarian Award, and by the Kennedy Center Honors, who recognized him for his work with children. He also received the first ever Bob Hope Congressional Medal of Honor Society Entertainer's Award for his dedication to philanthropy. booking entertainment, such as major name entertainers or celebrities, booking Billy Ray Cyrus, booking information on Billy Ray Cyrus, or hiring Billy Ray Cyrus for your special event, or to book or hire Billy Ray Cyrus, or if you are seeking the Billy Ray Cyrus booking agent for corporate entertainment or for a private party. Consider the opportunity to book Billy Ray Cyrus or other entertainers for a wedding, birthday, anniversary, business meeting or convention. If you are not a talent buyer, we are unable to provide Billy Ray Cyrus manager or management contact information. Consider this your official Billy Ray Cyrus booking agency web site – The booking agent who works for you! This company acts as an entertainment consultant or broker/producer and does not claim or represent itself as the exclusive agent, representative or management of Billy Ray Cyrus. Billy Ray Cyrus, country music artist - booking agent. This artist may be available for your event. Book him if you can. You will have the time of your life!